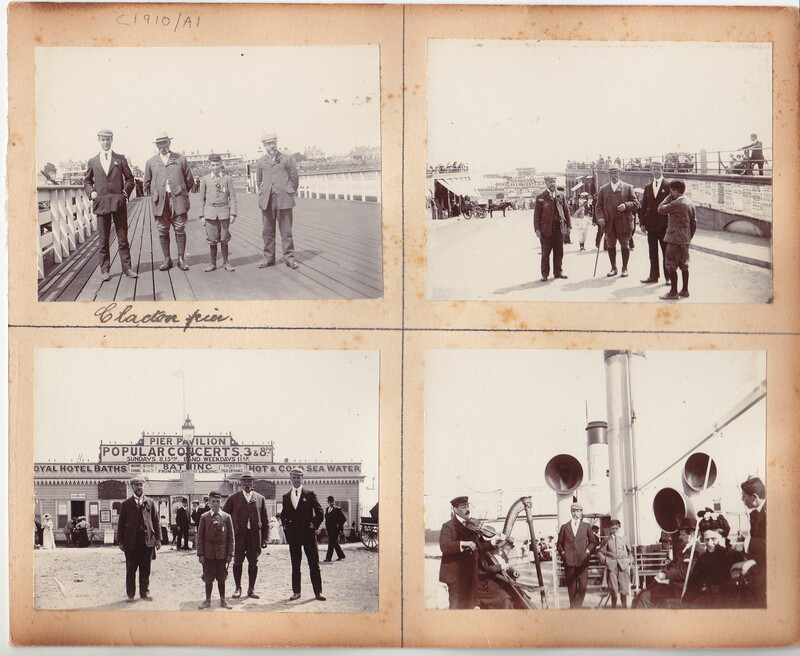 The advert mentioned the “fine sandy beach”, “purity of the air” and the “extraordinary healthiness of the place”. 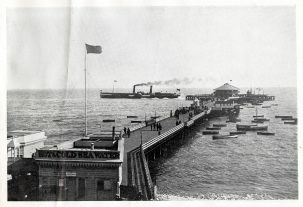 Bruff bought the 50-acre site in 1865 and immediately sought Parliamentary powers to construct a railway from Thorpe-le-Soken to a point just 60 yards from the cliffs together with a 300 yard long pier. The Thorpe and Great Clacton Railway Act was passed in July 1866, giving him the green light, on condition that they were completed within five years. The Act also laid down a scale of charges for landing goods at the pier, including 6d for a barrel of gunpowder, 1d per cubic foot for musical instruments, 2/6d for turtles … and £1 for a corpse. 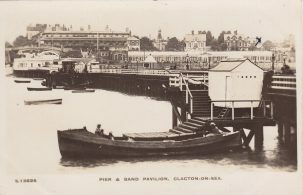 Bruff’s proposals for a new seaside town did not go down well among Great Clacton’s village elders, who were most concerned about the effect it would have on their rural peace and calm. At a village meeting just before Christmas 1865, they unanimously agreed to “dissent from the company carrying on this scheme”. And just in case anyone was still not clear about how strongly they felt on the matter, they underlined the word “dissent” in the minutes – twice.